How I like my oats! I’ve gotten into a steel cut oatmeal kick! I have it almost every morning. Here’s how I like it. 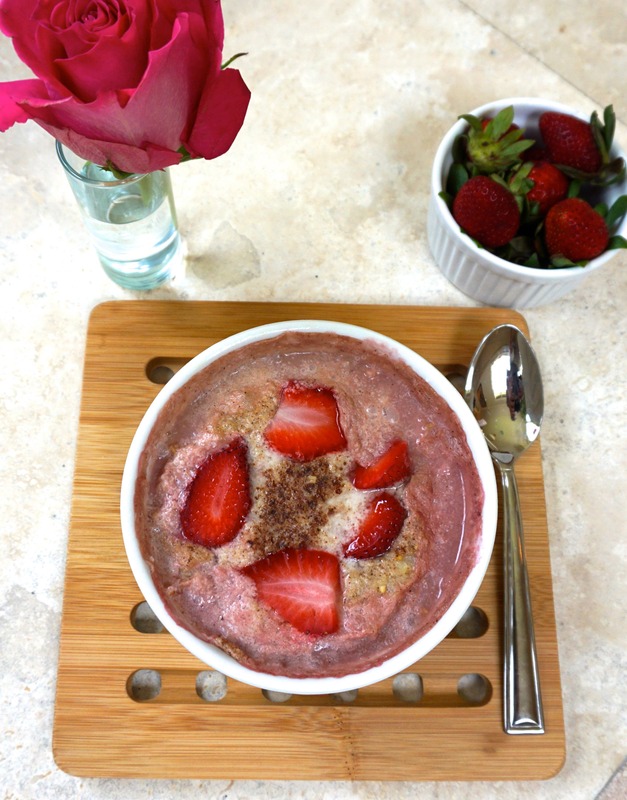 Place 3/4 cup of raw steel cut oats, 1 tsp. himalayan sea salt, 1 tbsp. cinnamon and 1 1/2 cups of water in a saucepan and bring to boil then reduce to simmer, covered. Let it cook for about 15 minutes then add in 1/2 cup of chopped strawberries and blueberries and let cook for another 3-5 minutes. Once the oats are cooked, pour into a bowl and add in 1/4 cup of unsweetened apple sauce and 1 tbsp. greek yogurt. Enjoy this goodness tomorrow morning! It keeps me full for about 5-6 hours and I always look forward to it. The difference between quick oats and steel cut oats is that the quick oats are processed multiple times, rolled out, cooked, dried, and then rolled out once again. The better option is steel cut. Posted on August 22, 2016 Leave a comment on How I like my oats! I had the opportunity to work as a sous chef this summer at a place called, Team Building With Taste. Here, companies from all around the world come ready for a friendly competition where they are divided up into teams and work together to create the best dish. They have two huge kitchens filled with every cooking accessory one could name, a pantry full of fresh produce, and of course an outstanding spice and seasoning area. I was able to work with some of the coolest people, and learned a lot from Chef Joey, my boss. After weeks and weeks of planning, I hosted a team building event for the Allen Tallenettes (my drill team). As the nutritionist of the team, I put together a healthy menu for the girls to learn how to cook and eat healthy. The menu consisted of poached salmon, grilled asparagus quinoa salad, and a fresh fruity kale salad. The girls exceeded my expectations with their teamwork, dedication, and respect portrayed during the event. My co-workers offered their time to help me prep, cook, assist, and clean during the event. Best of all, they surprised me with a visit from Food Networks Patrick Stark, a nutrition advocate who has a foundation (Mohawk Militia) where he devoted time to get young people involved in health, nutrition, and fitness. He made me an honorary member of the militia and gave me a shirt as well! This was definitely the highlight of my summer, and I have to say I am proud of how much I was able to accomplish with my nutritional aspect this summer.